Ashtanga Vinyasa yoga is a yoga workout routine consisting of a collection of postures associated with the breath. It integrates consecutive flow of movements with focalized inner cognizance. With persistent self applied practice and observation, one can cultivate a non-judgmental attitude. This passive quality is materialized by directing all your focus on to the flowing nature of the breath. The breath serves as a medium to examine, purify and transcend the body and mind. Ashtanga yoga basically enables one to explore both the physical and mental aspects of the self. Therefore, as one advances through the physical practice, we can witness a natural and a healthy improvement in the mental and emotional processes that go along with it. An introduction to the practice of Ashtanga yoga without a mention about Sri Krisna Pattabhi Jois and his conceptualization of the Vinyasa method would stand incomplete. He was dearly called as Guruji by his students. K P Jois was born in 1915 and he was introduced to yoga at a very tender age of twelve by Sri T Krishnamacharya. He learnt yoga from Sri T Krishnamacharya from 1927 to 1945. He was honored with the title Yogasana Visarada in 1945 by Sri Jagadguru Sankacharya at Puri. He established the Ashtanaga Yoga Nilayam in Mysore, India in 1948 to train, attenuate and illustrate this method of yoga. 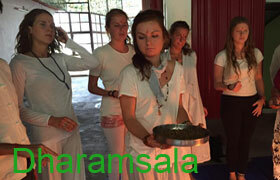 Countless students have since then come to Mysore, and passed on Ashtanga Yoga to almost all the parts of the world. For a number of years Guruji taught yoga in a small room that is located in the downstairs area of his house, which is known as the Nilayam in Lakshmipurm, Mysore. This room could accommodate only twelve students at a time and the method taught in this room was later termed as “Mysore style”. Professor Sri Trimulai Krishnamacharya is considered to be the grandfather of modern yoga by many people. His teachings essentially inspired K P Jois to formulate Ashtanga yoga, B K S Iyengar to conceptualize Iyengar yoga and T K V Desikachar to develop Vini yoga. Krishnamacharya in initial stages used vinyasa karma yoga method which consisted of a sequence of postures one leading into another. This method is now commonly known as Ashtanga vinyasa yoga by K P Jois. Later Krishnamachary was known to have discovered “Yoga Korunta”, an ancient text which was written by Rishi Vamana at Calcutta University. This book eventually formed the basis to solidify his conceptualizations of vinyasa yoga method. 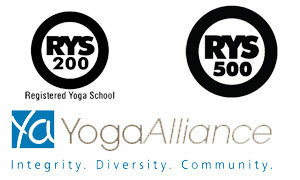 He customized his teachings and yoga methods based on the needs of individual students. The breath forms the starting point for the practice of any asana. Likewise, ujjayi pranayama marks the starting point of the Ashtanga yoga. Ujjayi means extensive triumph while Prana in a broad sense has a number of meanings such as wind, life energy, breath, strength, respiration, life force, etc,. Pranayama is now distinctly defined as the evolution (ayama) of life-energy (prana) in lieu of the restriction (yama) of breath of air (prana). The breath forms the vital component of tristhana which means the three significant places of attention. The body and mind are the remaining two components which are in fact controlled by breath. Hatha Yoga Pradeepika states a well-known fact that mind gets disturbed when respiration is disturbed. A yogi attains a steady mind by restraining the process of respiration. So breath plays a vital role in controlling the mind. Life exists until the air (breath) remains in the body. Death results when the breath (air) stalls. According to Hatha Yoga Pradeepika, Ujjayi is practiced by closing the larynx opening and the air is inhaled inwards in such a way that it goes through the throat touching it into the chest making a noise when passing through. Gentle contraction of the glottis area located at the back of the throat enables one to breathe in a controlled fashion. This contraction produces a deep sonorous noise, which accelerates the movement of the diaphragm and elongates the spine. In the beginning, this sound may seem to be a little exaggerated and harsh, but it can eventually become gentle and sturdy by over squeezing the glottis. A soft and steady sound aids the uniform flow of breath and aid in building up heat in the body which is appropriate for the practice of asanas. The heat, thus produced does not only benefit stretching, but it also eventually cleans and refines the body by producing sweat. However, one needs to be mindful that the breath is maintained at a moderate pace in order to keep it organic and natural. Also one should avoid imposing force on self, else it may result in developing constraints instead of flexibility. According to yogic physiology, the sun represents the fire element in the human body. It denotes the inhalation (puraka), heart and the vital life energy. On the other hand moon represents the cooling element. It denotes the exhalation (rechaka) process, the lungs and the death energy. Thus, one can impede the death force by controlling the breath or respiration. The enhancement of the fire element (agni) improves the vital life force. Thus Ujjayi denotes the triumph over life.